The Pantheon is a magnificent ancient temple in Rome that was later converted into the church of Santa Maria ad Martyres. Dating from 125 AD, this is the most complete ancient building in Rome and one of the city’s most spectacular sights. A near-contemporary writer, Cassius Dio, speculates that the name comes from the statues of many gods placed around the building, or from the resemblance of the dome to the heavens. Since the French Revolution, when the church of Sainte-Geneviève, Paris, was deconsecrated and turned into a secular monument, the Panthéon, the generic term pantheon may be applied to any building in which illustrious dead are honoured or buried. Until the 20th century, the Pantheon was the largest concrete structure in the world. Michelangelo studied its great dome before starting work on the dome of St. Peter’s Basilica. 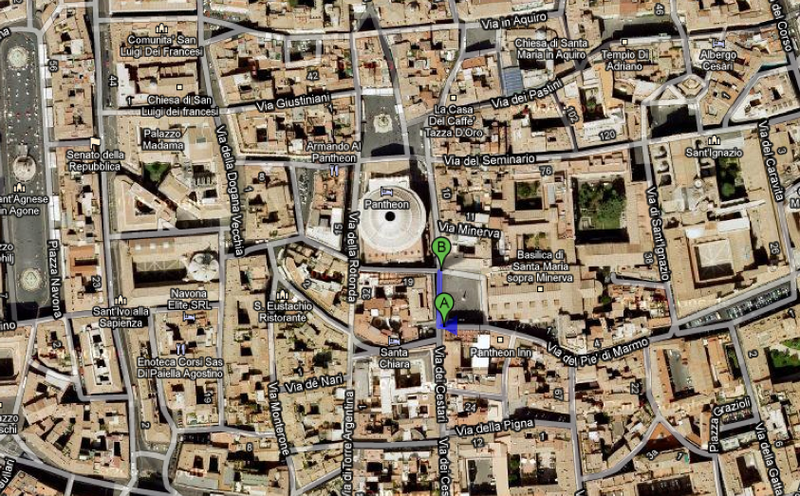 Don’t miss a Pantheon visit by staying at Grand Hotel de La Minerve 5 star Luxury Hotel in Rome.